The sun peaks above the horizon line when Shawn Doney drives the St. Vincent de Paul van packed with food, coffee and clothes to visit Great Falls’ 28 homeless camps. As the weather changes and homeless people are pressured to leave, the sites shift locations. But over the past year, Doney has learned the names, stories and locations where the 206 people who are living on the streets sleep. 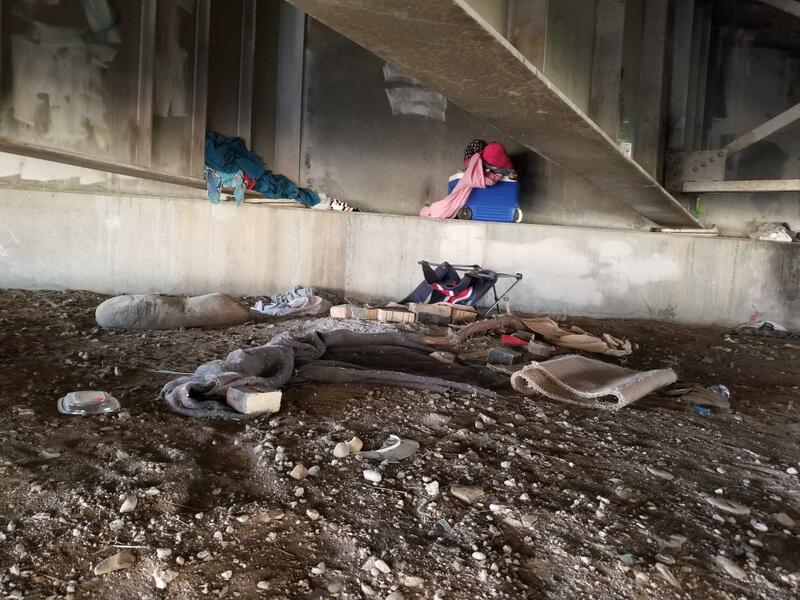 Consequently, Kelly said what began with homeless veterans needed to expand to find solutions that would help all homeless people in Great Falls. The problem stretched beyond just veterans and was not easily categorized. St. Vincent de Paul’s Director of Charities Jennifer Lehman said she sees people almost daily who have unique needs like getting a birth certificate or a work uniform. But most agencies rely on grant funding or donations that have restrictions on how it can be used. So what is diversion? The strategy is simple and effective – find the relatives and friends in a homeless person’s life and remove any barriers that prevent them from helping. For example, a single mom is living with her sister until the two have a fight because the mom’s teenage son eats so much food. The answer may be as easy as having a third person calm everyone down and find resources that can provide additional food for the family. The strategy certainly shows results. In a Canadian community implementing diversion homelessness was reduced by 70 percent. Even better, only 5 percent of those families and individuals returned to ask for help. This kind of progress is not possible without resources. Solving the car battery problem requires the donations necessary to get a car battery. United Way addressed this problem and gathered $10,000 from local donors to create a flexible fund that can be used to solve easy problems that prevent stability in homeless people’s lives. It could fix a car battery that enables someone to keep her job or to pay the fee for someone to get a driver’s license. So, diversion is effective in solving the smaller problems first so the homeless can focus on the bigger issues that keep them homeless which leads to the second part of the strategy, centralized intake. Maria Porter, the city’s community block grant administrator, stepped up to coordinate case conferencing taking on the extra meetings on her lunch breaks and after hours. Six agencies – Opportunities Inc., YWCA Mercy Home, St. Vincent de Paul, Volunteers of America, Family Promise and Voices of Hope 2-1-1 – have committed working together to assess each homeless person, determine their needs and connect them to services needed to find them stable housing.